FAQs / How to create new assets via scanning in EZRentOut (For PC/Mac)? 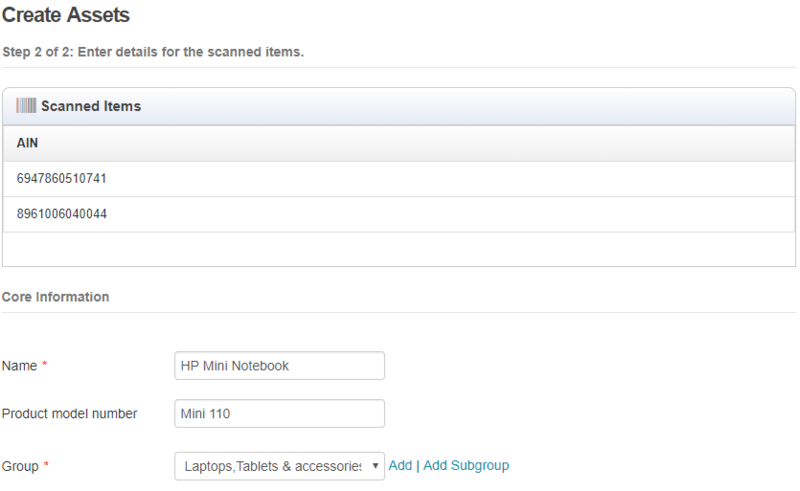 To create new assets via scanning, enable ‘Hardware Scanner Integration’ in Settings > Add Ons. Hit ‘Update’ at the bottom of the page. 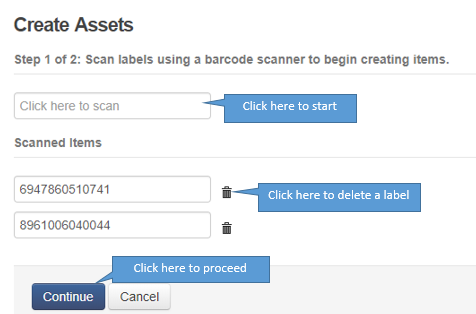 Step 2: On this page, you can scan as many labels as you want using a barcode scanner to create assets. Please note, if you’re scanning multiple assets’ labels, all of them must be of the same type – e.g. 10 different labels for 10 same laptops, all having the same specs, details and the name ‘HP Mini 110’. Useful when you’re adding same assets in bulk. Similar process can be applied when adding asset stock and inventory via scanning.